This is my fridge after stops at MOM’s and Costco, and a delivery from South Mountain Creamery. 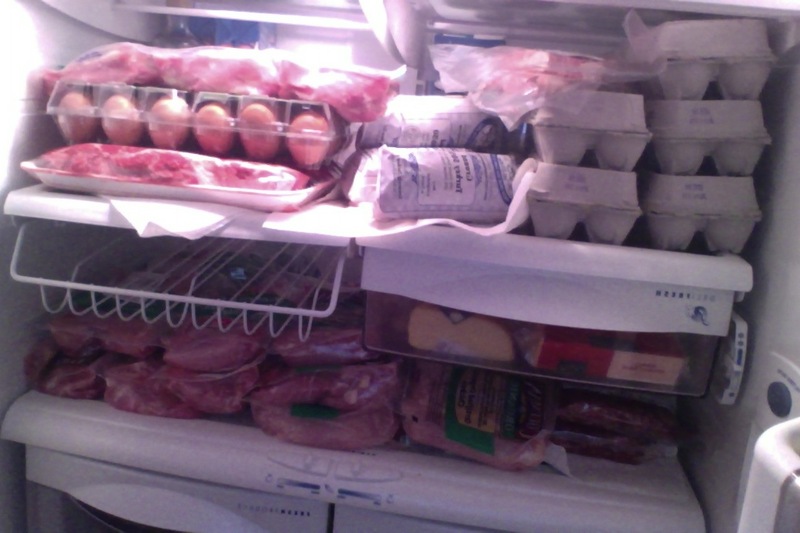 That’s just the meat and eggs for the cook-up I plan to do this weekend! Now I just have to get the rest of the ingredients.